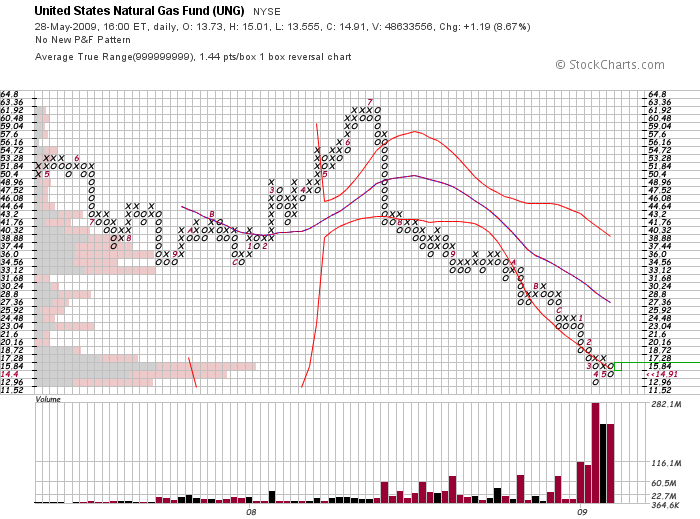 Today’s StockTwits chatter was dominated by the big move in natural gas. Down nearly 80% after falling for nine CONSECUTIVE months, UNG is beginning to show real signs of life. While it is too early to say the bear market is over in this sector, a new row of X’s and a monthly close higher would go a long way to improving the long term investment opportunity in this space. A target of 25 seems inconceivable, but stranger things have happened.